Dive deep into the world of gifted students! In this six-hour course, “Identification & Assessment of the Gifted,” educators will learn the history of gifted education, characteristics of gifted students, and how to assess and identify gifted children. 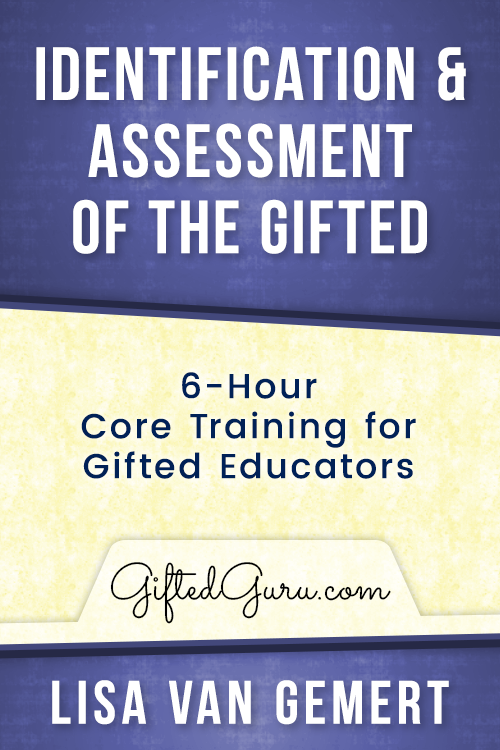 After taking this course, educators will have a thorough knowledge of exactly what it means to be gifted. Making sure gifted students have quality instruction and challenging assignments is widely popular in the education world. But do you know exactly what it means to be gifted and why it matters? This six-hour course, “Identification & Assessment of the Gifted,” addresses issues surrounding gifted students and practical ways to identify them. Lisa Van Gemert, a leading voice in gifted education, shares an overview of the history of gifted education and its importance today. Educators will also learn how to tell whether or not a student is gifted by using different tests and assessments. Teachers who have a thorough understanding of how to identify and assess gifted students will be able to equip and challenge these students better.